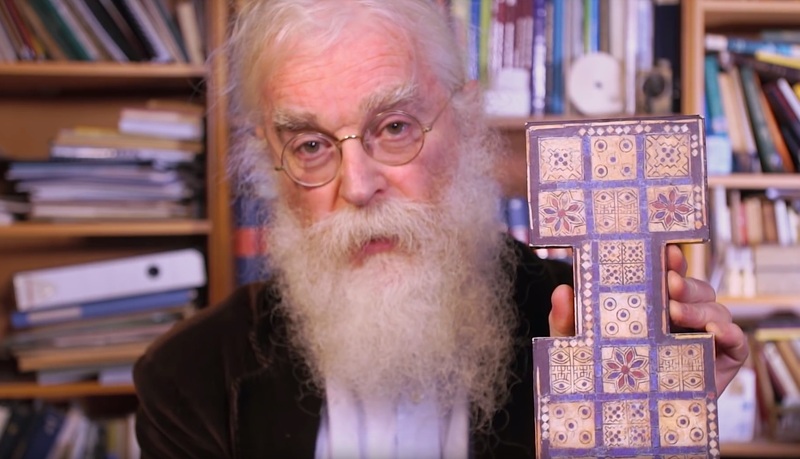 Last year, in celebration of International Tabletop Day, the British Museum did several videos of Merlin the Magician, er... Irving Finkel, the Assistant Curator of Ancient Mesopotamian script, talking about and playing The Royal Game of Ur, an over 4-millennium-old game from Mesopotamia. Finkel has spent the lion's share of his life trying to decipher the history and rules of this ancient, 2-person racing game. The museum had a copy of the board (which Finkel made a replica of as a child), but had no idea which rules set went with it. Fortuitously, among the museum's 3500 clay tablets, Finkel eventually managed to uncover an analysis of the game, written by a Mesopotamian astronomer, and from there was able to reverse engineer the rules (and matched the rules to the mysterious gameboard artifact in the museum's collection). There are some interesting mechanics here, including using 4-sided dice that have two white tips. An upright white tip counts as a 1. The Royal Game of Ur looks really fun, and surprisingly exciting to play. Finkel points out that it's the kind of game that, when one player falls behind the other, it actually gives them a momentary advantage and that creates a kind of back and forth, quickly changing fortunes dynamic that makes for a tense game. Finkel also points out that the original board had a built-in drawer to house the dice and playing pieces, a design that's still used in chess and other boards over 4,000 years later. International Tabletop Day 2018 is coming on April 28th. See the orgs website for more info. ‘Verizon Gaming’ is coming soon to Android, and a beta is already running on the Nvidia Shield, per a report from Chris Welch at Verge.